Huntsville State Park is a 2,083.2 acre recreational area, located six miles southwest of Huntsville, in Walker County. During the early 1930s, the Huntsville-Walker County Chamber of Commerce proposed the creation of a large public recreation place to the Texas State Parks Board. The board in turn informed the land would have to be donated by the public. Walker County would have to sell $20,000 in bonds to pay for the park. In 1936, the voters of Walker County voted in favor of the bond issue. The property was acquired by deeds from private owners in 1937. Under the direction of the state park board a site was selected. An area northwest of Huntsville in the Moffett Springs and Nelson Creek area, however the a site which topography offered an opportunity to build a dam was selected. A junction below where the Big Chiquapin and Little Chiquapin Creeks merged and flowed onto the prairie was selected for the dam, which would create a lake for boating, fishing, and swimming. In October, 1937, Civilian Conservation Corps (CCC) Co. 18C/V, and African American veteran company, began construction on Huntsville State Park, which opened the following year. The same company that was responsible for the construction of Huntsville State Park also constructed Palmetto State Park, Longhorn Cavern State Park, Kerville-Schriner State Park, and Abilene State Park. This company constructed the dam in the Huntsville State Park, as well the stone and wooden recreation center which stands basically unchanged today. Other structures built by the company include a frame pumphouse, stone culverts, and stone road curbing. November 1940, a natural disaster battered the park, pouring 12 inches of rain just 48 hours on the area, causing the dam spillway to collapse. Damage repair estimates rain into hundreds of thousands of dollars. CCC forces withdrew and the park laid dormant for almost a decade. The tress in the park were the only thing that seemed to make any progress until the Texas Forest Service was invited to study and make suggestions regarding selective cutting and marketing the timber. As a result, a plan was proposed that money from the sale of timber should go into a fund designated to rebuild the dam spillway and complete the state park. A bill to authorize was drafted authorizing the Texas State Parks Board to cut $250,000 worth of timber in the park to be used for rebuilding. The Huntsville-Walker County Chamber of Commerce dedicated and opened Huntsville State Park to the public on Friday, May 18, 1956. The heavily-wooded state park adjoins Sam Houston National Forest, and encloses the 210-acre Lake Raven. These woodlands are dominated by loblolly and shortleaf pines, which provide excellent camping and picnic areas surrounding Lake Raven, which is great for crappie, perch, catfish, and bass fishing. The park also has constructed hiking trails so that wildlife and birds may be observed in their natural settings. White-tail deer, armadillos, foxes, squirrels, opossums, and migratory water fowl are seen on a regular basis, and occasionally an alligator is spotted in the lake. Huntsville State Park offers camping, hiking, biking, boating, Guided Horseback Trail Rides with horses provided by 2E Stables, fishing swimming, nature study and canoe and peddle rentals. Park facilities include picnic sites; tent campsites with water; campsites with water and electricity; screened shelters; a screened, group picnic pavilion (capacity 75); a group recreation hall (capacity 200); a trailer dump station; restrooms with and without showers; a bathhouse; ; fishing piers; fish-cleaning tables; boat rental (seasonal, including paddle boats, canoes and flat-bottoms without motors); a boat launching ramp; a boat dock; a playground; a 3/4-mile interpretive nature trail; 19 miles of hiking & biking trails. Water skiing is prohibited due to the lake’s size. Boating regulations: Motor size unrestricted; speed is limited to idle speed with no wake. Weather: July average high is 90, southeast breeze, January average low is 50, high humidity year-round with September wettest month; first/last freeze: November 27/March 7. Schedule: Open: 7 days a week year-round, except for Public Hunts. Busy Season: Mid-February to Thanksgiving. Group Adult entrance discounts may be available on request from the park managers and with prior arrangements made at the park. To inquire about a group school-sponsored trip contact the park to make arrangements. Youth Group Annual Entrance Permit. Applicable daily entrance fees are charged in addition to the campsite or facility fee. Pets are not allowed in any Texas State Park buildings. For other general pet restrictions check the Texas State Park Regulations. For park specific pet restrictions and more information contact the park at 1-800-792-1112. Maximum 8 people per campsite unless otherwise noted. Applicable daily entrance fees are charged in addition to the campsite or facility fee. 60 – Campsites with water hookups: Sites have a picnic table, fire ring, and lantern post. 67 – Campsites with 30/50 amp electric and water hookups – Sites have a picnic table, fire ring, and lantern post. 23 – Campsites with sewer, 30/50 amp electric and water hookups – Sites have a picnic table, fire ring, and lantern post. 30 – Screened Shelters with 30/50 amp electric and water hookups: Sites have a picnic table, fire ring, BBQ grill and lantern post. Huntsville State Park is undergoing renovations, which began June 1, 2011. Construction is scheduled to last several months. For more information contact the park. Sheldon Lake State Park and Environmental Learning Center is a 2,800 acre outdoor education and recreation facility located in northeast Harris County. The park is split into two units and provides access to the 1,200 acre Sheldon Lake. Eight hundred acres of Sheldon Lake are permanently inundated, while 400 acres are marsh and swamp land. Atlanta State Park is located on Wright Patman Lake near Texarkana. Texas acquired this beautiful land in 1954.This 1,475 acre park is a charming, wooded park has a west-facing shoreline in Cass County, that allows visitors to take in brilliant and bright sunsets over the water. The seasonal colors of the terrain are always in transition, and the lake, sunsets, and pine forests are an amazing sight. Abundant bird and wildlife species and woodland plants offer excellent opportunities to observers and nature enthusiasts. AUSTIN – When most people think about Texas State Parks, natural gems such as Palo Duro Canyon, Garner and Inks Lake come to mind. But the Texas Parks and Wildlife Department also operates dozens of sites throughout the state dedicated to bringing history to life. 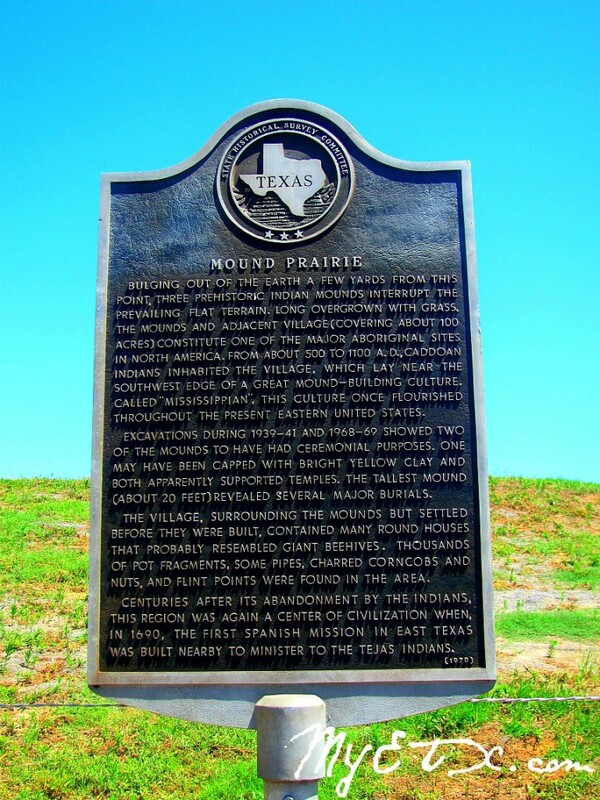 TPWD has designated history as the Outdoor Activity of the Month for October.